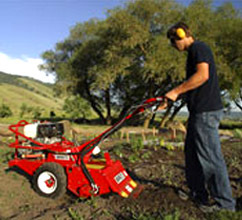 The tiller is self-propelled with three forward gears (two for tilling) and a reverse. The tines and the wheels are driven by separate drives, the wheel drive being engaged with a hand clutch and an engaging lever for the tines. 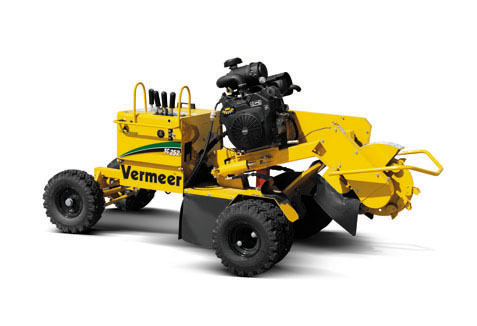 This is great for transport and allows for better tilling. 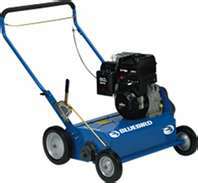 Whether you are preparing for a new landscape bed, clearing for a new sidewalk or driveway, or tackling home improvement projects that require temporarily removing sod, BlueBird's 18" Sod Cutter is designed to make even the toughest job quick and easy. 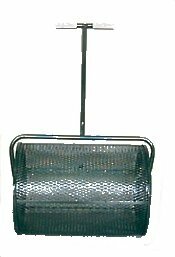 The Minnie is perfect for a small vegetable garden with a tilling width of 12 inches or 18 inches, the Minnie can easily fit through tight rows. It will till the material right back into the soil providing rich nutrients for your next garden. 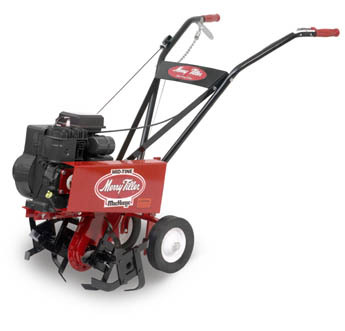 The Minnie Tiller is a powerful and versatile tiller that is great for a small garden. 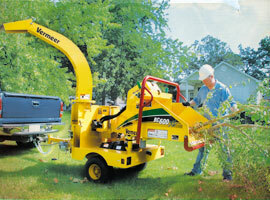 Mower attachement for smaller utility tractors. 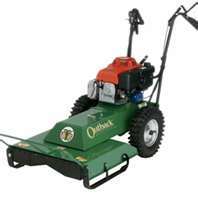 Rotary mower to keep weeds from taking over your property. 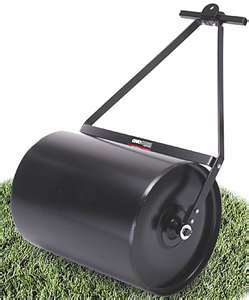 The fastest, easiest-to-use, portable, one-man stump grinders on the market today! All Dosko stump grinders are designed with safety in mind. Also known as a dethatcher the compact size makes this unit perfect for smaller jobs and a breeze to transport. 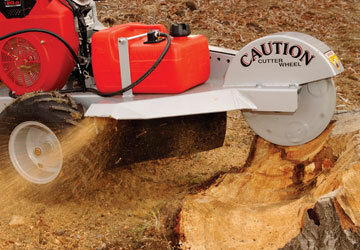 Equipped with exclusive features, the SC252 provides full-sized stump-cutting power in a compact unit. Safety features include a patented cutter wheel guard and an operator presence system that disengages the cutter wheel if the operator lets go of the controls. Fingertip controls are simple to understand and easy to operate for the inexperienced or professional user. Wheels and tines work independently of each other, allowing the wheels to travel at variable speed while the engine and tines remain at full speed. Tines automatically stop when wheels are in reverse. A safety clutch on the handlebar prevents accidental injury. 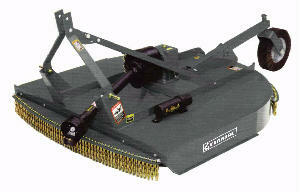 A heavy duty dirt shield prevents wire, string, and dirt from damaging the hydraulic tine motor seal. Inboard double tapered roller bearings and greaseable outboard double ball bearings support the shaft. Tines are hard-faced to give maximum service life. Simple, rugged construction is your guarantee of dependability.